The chocolate from Malmö Chokladfabrik has turned out to be a favorite of mine. Luckily it doesn’t just taste great, it’s packaged in a great way as well. 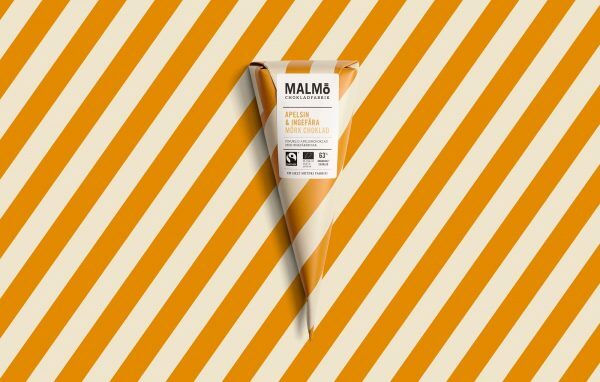 Check out the Cone packaging for chocolate, you’ll love it. 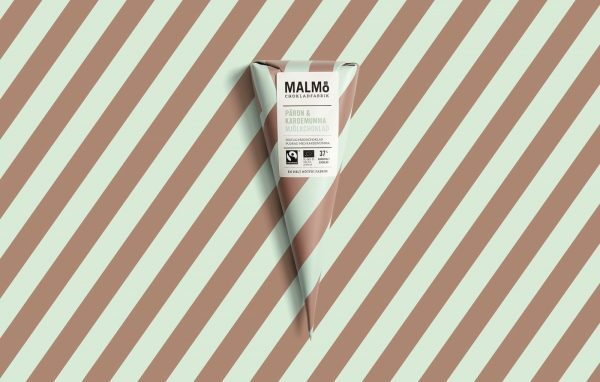 This cone packaging for chocolate brings out the nostalgia in me. Big bold stripes and the kind of packaging that makes you think of what candy was in the old days. 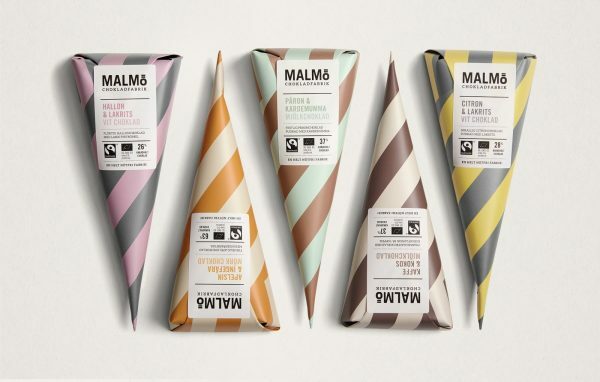 Not that I’m old enough to have any experience in that type of packaging but that is the feeling this packaging design brings up. 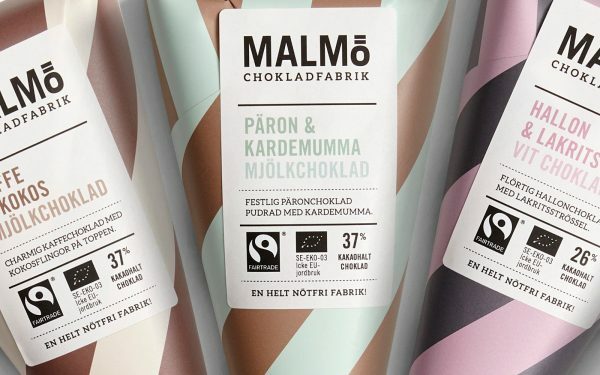 Malmö Chokladfabrik is a small chocolate brand in Sweden. 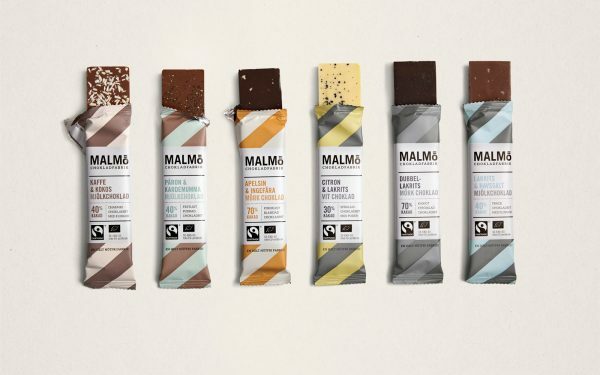 It is located in Malmö in the south of Sweden and is owned and managed by two chocolate loving brothers in a factory where Mazzetti used to be made. Mazetti was a classic Swedish chocolate brand. 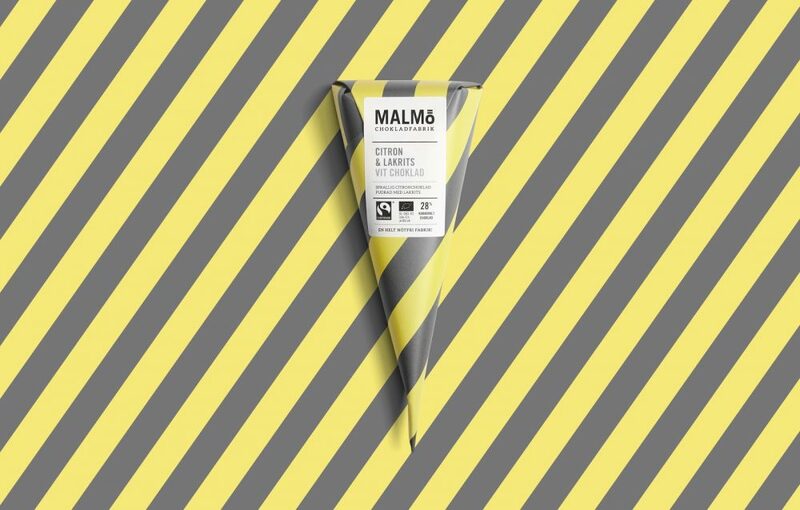 Malmö Chokladfabrik has been around for some time now and the packaging needed an update. To make that happen they took the help of Pond in Stockholm. 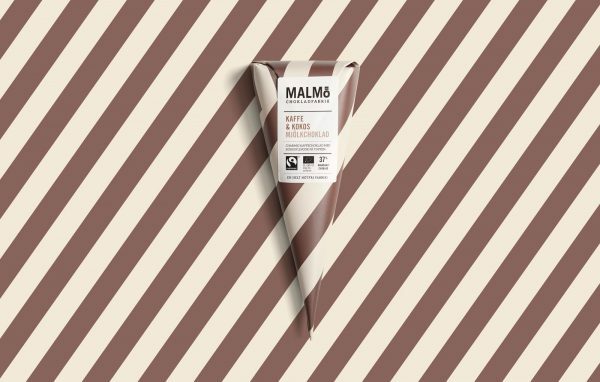 They created the classic looking cone packaging for chocolate that you can see in the photos here. 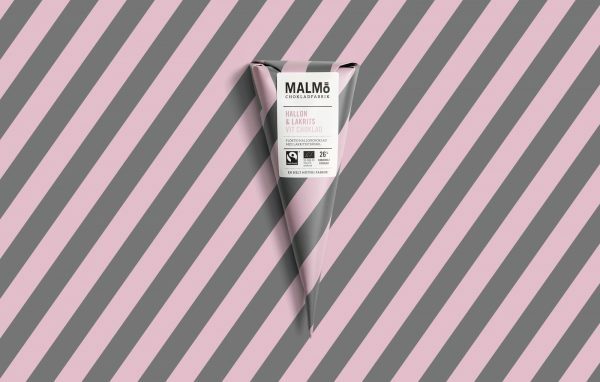 Packaging chocolate in cones like this is not unique. 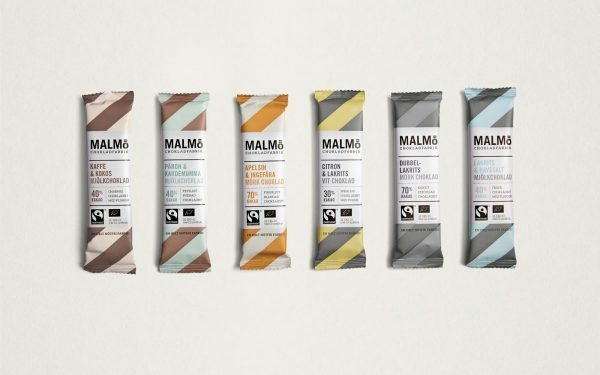 There are even a few other Swedish brands who do it the same way. But not with the stripes and great color choices. When you’re making a design you have to consider all parts of it. Without the bold lines and colors, this packaging wouldn’t get any attention. Luckily someone made sure this looked good. 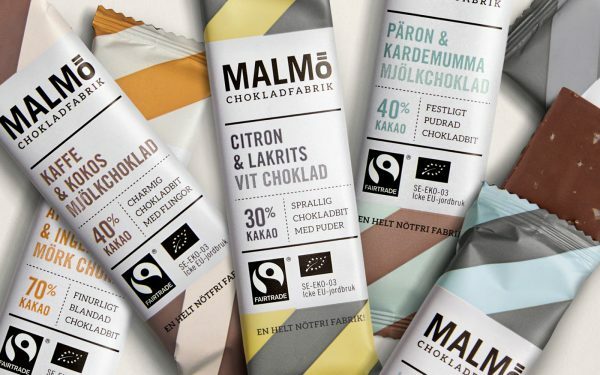 Malmö Chokladfabrik is a premium brand of chocolate, but not at the super premium very expensive chocolate. More somewhere in between. I think this packaging design and the price you normally pay for this chocolate is perfect. You might think that the chocolate category would be over-saturated. It’s really not, you can get chocolate really cheap and really expensive but not much in between. Except for these cones, I guess. Make sure to check out my full coverage of chocolate packaging, there plenty more great designs out there.